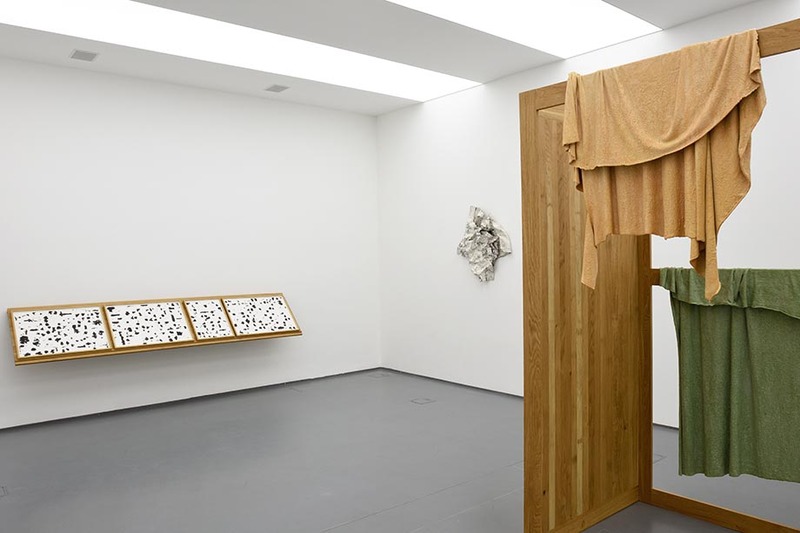 Exhibited at acb Gallery, the latest works of Tilo Schulz were conceived in the intermediatic border zone characteristic of the artist. 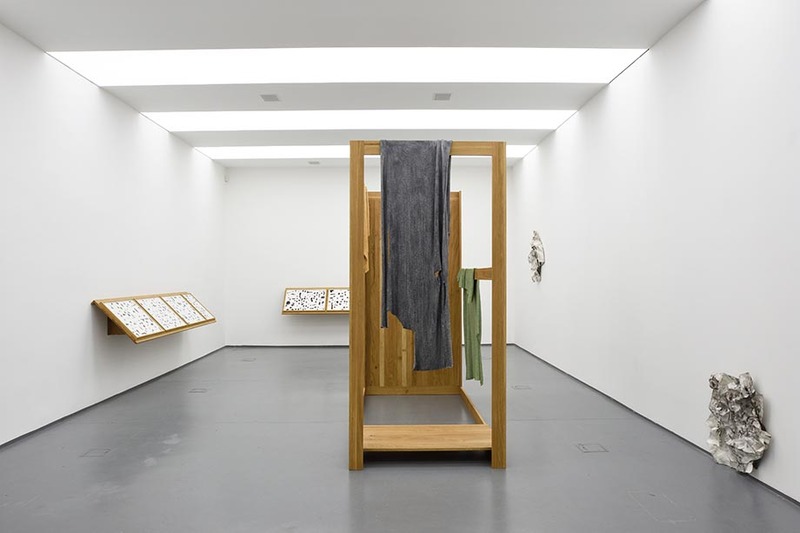 Also active as a curator and poet, Schulz’s work is centred on questions of presentation and representation as well as the common plasticity of space and reception. The installations of Tilo Schulz interpret the space as more than a neutral medium: they treat it as a primary component owing to its architectural qualities, perception and the recipient’s experience. At the same time, the aesthetic and conceptual horizon of the pieces, which are often also related to painting, is enhanced by connotations of the social and individual spheres of closedness, openness, transitoriness and intermediacy. 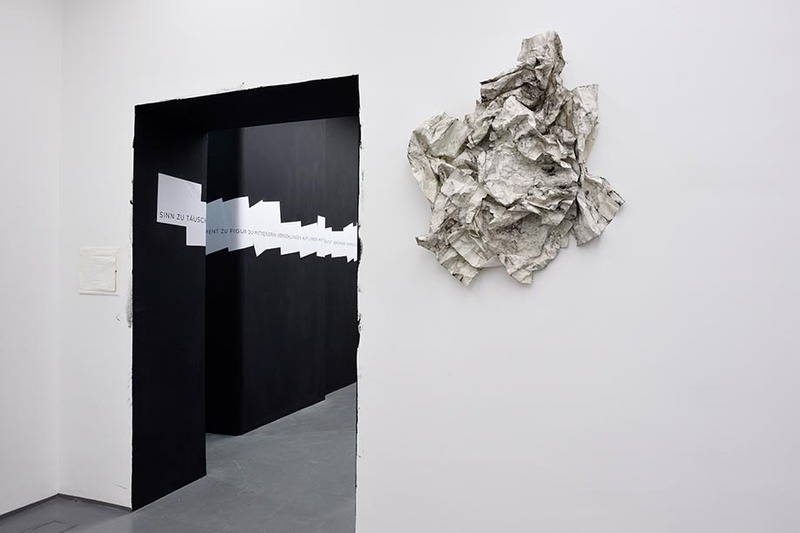 In addition to his site-specific text-based work and installation designed for the space of acb Gallery, Schulz also presents more intrinsic, autonomous pieces, while the structural unity characterising him evolves through material similarities in the media used, similar phenomena relating different techniques, and interferences among these. The large installation revolves around the fundamental questions inherent in Schulz’s previous large-scale site specific pieces, directing the spectator’s attention at the relativity of the correlation between inside and outside: the sculpture is open from a certain angle, but closed from another, not only segmenting the space, but also dynamically organising it along different vectors. In a similar manner, hanging from wood beams, the textiles soaked in dyed concrete show either their “outside” or their “inside”, changing directions of concealment and exclusion. Perhaps owing to its simple structure, the sculpture evokes images of familiar constructions, but in fact it has no equal, thereby conveying the disconcerting effect of (the lack of) haunting resemblance. 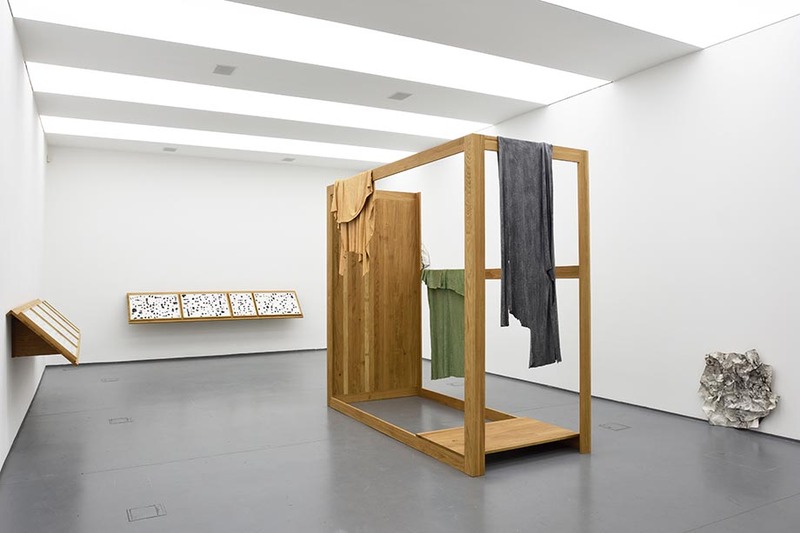 Together with the clothes, it has a dimension of some sort of narrativity and temporality, referring to an event or precedent, traces of potential destruction. Through its human scale and objectual impressions, its plastic quality is enhanced by notions of presence and absence, as well as location. 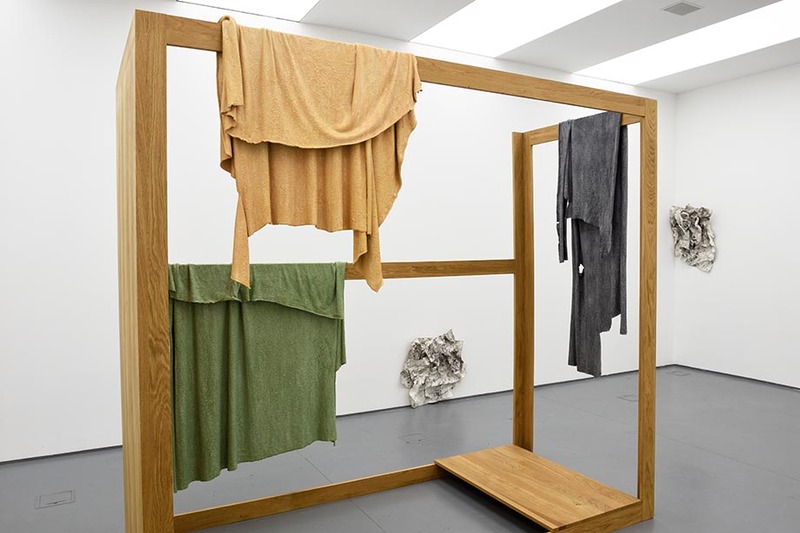 The artist used a method of swiftly dipping the clothes in dyed concrete. This painterly gesture is echoed in the creative process of the paper sculptures or the acrylic paintings on the shelf. The calligraphic shapes of the latter dispense with the intentional rationality of control, at once alluding to the cognitive difficulties also suggested by the titles: the impossibility of devising perfect concepts or achieving pure conceptual unity. In addition to the title toying with absurdity, the pencil-drawn grids serve as an ironic point of departure for division as well as the locatability and distinguishability of units, and consequently of the clear relations of outside and inside – as a background overwritten by the haphazard nature of the gesture. Moreover, the grid structure at once destroys the composition and suggests continuality. By giving a sense of multiplication, the paintings query the validity of categories while as a metaphor of representing knowledge, the display method resembling a natural history museum questions the faithfulness of taxonomies. 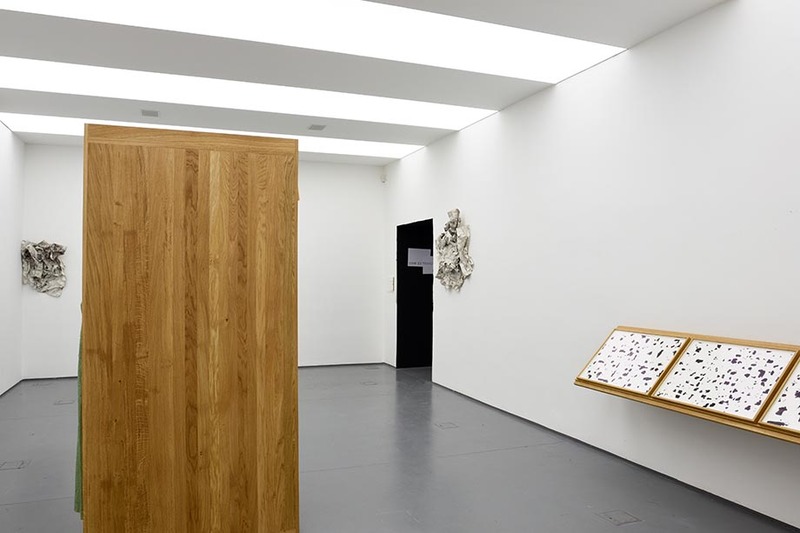 The homogeneous materiality of the installation plays a significant role in this multiplication process; owing to the oak wood shelving and frames, the synergy of the paintings arises not from the unison of distinct tableaux, but from their spatial and material relation, in other words, via the logic of sculpture. 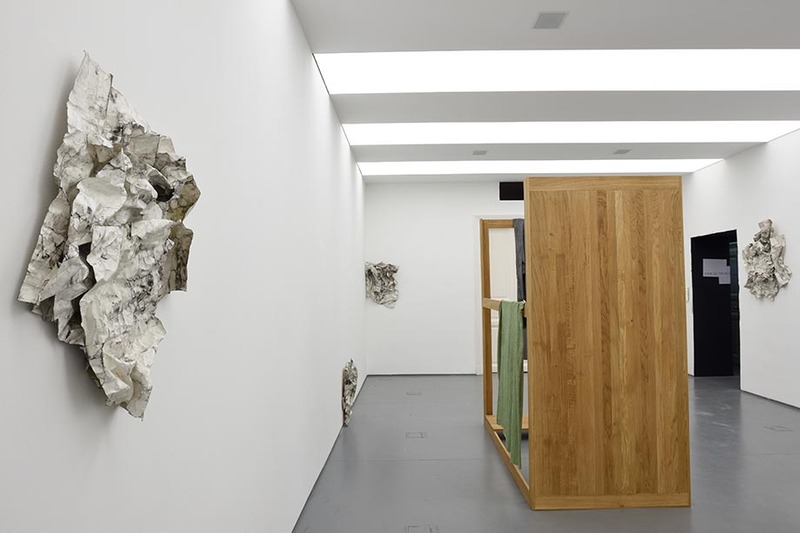 The paper sculptures on the walls are also hybrids in terms of genre: the artist clutched and wrinkled the sheets of paper together with pigment, then painted them with dispersion primer, which also served as adhesive to glue the separate pieces of paper together. The wrinkles, creases and folds create spatial microstructures, and joining the separate parts required static considerations. These pieces are new examples of Schulz’s interdisciplinary art bordering on the genres of architecture-sculpture-painting. Physicality has hitherto served a special role in the moment of reception and physical encounter with the artworks, but this time it is expressed in the immediate and improvisational use of materials throughout the creative process. Additionally, just as the acrylic paintings use abstract calligraphies of unknown origin, theoretically serving to capture thought, but implemented here as some sort of syntax (owing to the grids they are suggestive of sets of morphemes), and as the pieces of cloth also evoke the image of some oblivious and indecipherable scenario of the past, through their materiality, the paper sculptures convey a sense of abstraction, uselessness and illegibility of crumbling script, from the vantage point of a peculiar temporality. This historical dimension may be underscored by the archaic texture that resembles marble. 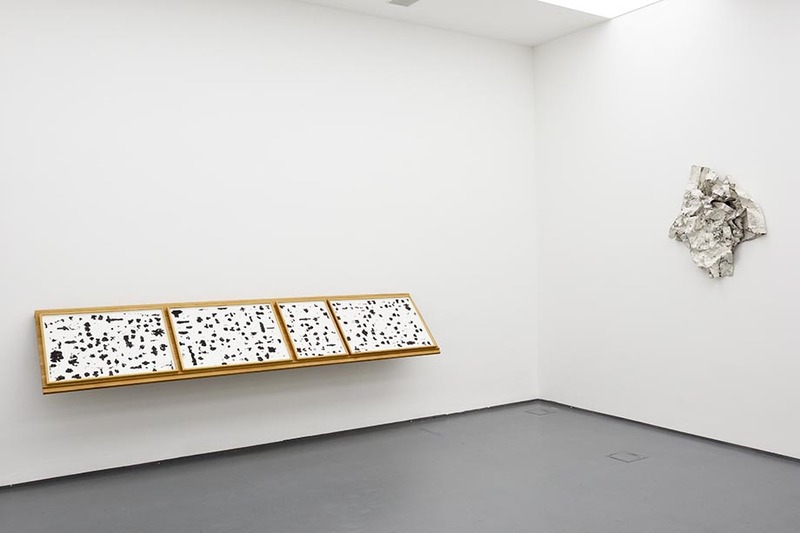 Writing has a special role in Schulz’s work, same as in his site-specific installation at acb Gallery. 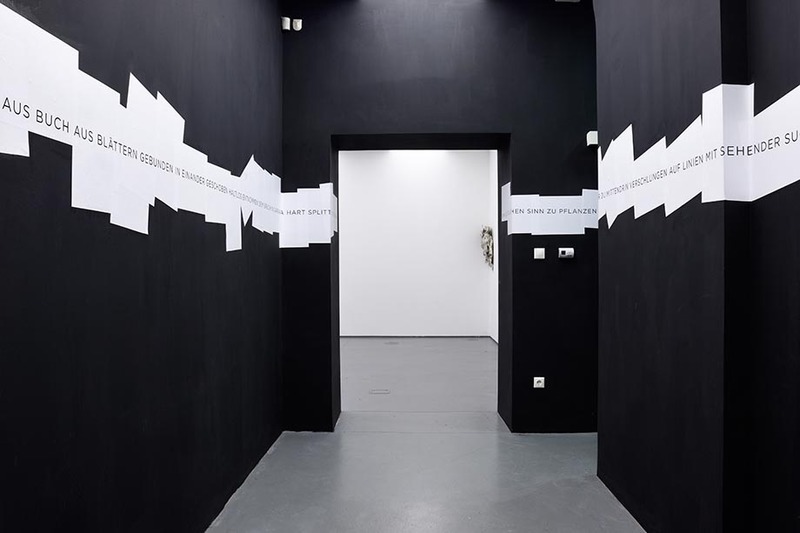 Activating the foreground (as a transitory zone, at once inside and outside), the artist glued his own poem on the black walls around. The text can be conceived of as a prologue, an introduction to the exhibition, but its profound referentiality and poetic language hinder access to its interpretation. This dual nature: familiar-unfamiliar, open-closed, display-concealment, partial cognition, (spatial or material) transitoriness, and the dynamic of (physical and abstract) boundaries – this is the basic character of Schulz’s exhibition, unravelled in various ways by his pieces of painterly and plastic art.